A modern valuation process needs to combine multiple approaches – blending the right amount of process modelling, data-driven modelling and empirical modelling to give an accurate picture of portfolio prospects. The first step in the process is to identify the core segments of any consumer debt portfolio: limited collectability, guaranteed collectability, unsecured and secured debts. 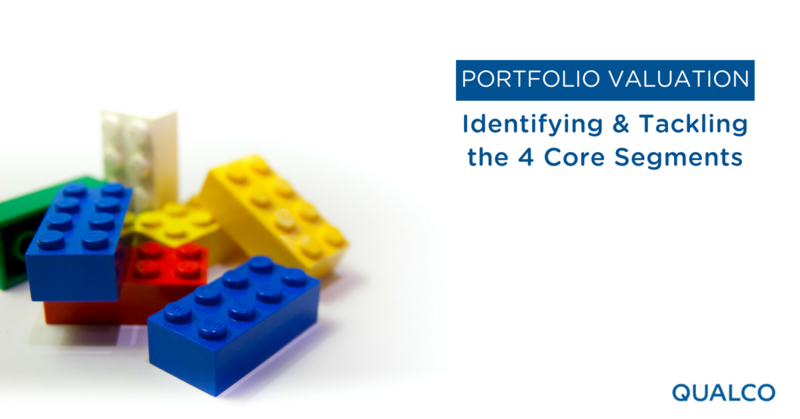 A portfolio may consist of one or more of these categories and once they are identified, each category requires a different approach. The limited collectability segment includes customers under legal protection (e.g. insolvency proceedings), deceased and incarcerated debtors. These are usually easily identified by information supplied by the original creditor. This category does not often benefit from a wide range of data sets so data-driven modelling processes are unlikely to be useful. The exception to this is insolvency, where data can sometimes be used to predict the terms of the settlement that will be reached and pre-emptively offer an arrangement that is better for the customer and the creditor. Generally, though, this predictable category is a prime candidate for process modelling. The guaranteed collectability segment includes credit backed by guarantees from governmental organisations, such as subsidised housing schemes. Their collectability tends to depend on process - going through bureaucratic motions - making process modelling the most sensible approach. With these two ‘special case’ categories out of the way, the major remaining question is whether any collateral exists. This usually has a straightforward answer although, in some jurisdictions, property that has not been registered as collateral may also be claimable. The more difficult question of whether the collateral has value can complicate matters, leading to some ‘secured’ accounts needing to be treated as unsecured and vice versa. In the general case, a simple process model will be needed to classify accounts in these two categories. Once the unsecured segment debts are identified, data-driven modelling is the most powerful tool available – able to model customer responses at an individual level, identify relevant characteristics automatically and allow us to make aggregate predictions. In most cases, using pre-existing models is the best option. However, there are cases where new models are more appropriate, such as when dealing with a new market, jurisdiction or industry sector. Process models can also be deployed to combine the predictions of data-driven models – e.g. to extract a per-customer recoverable value estimate by combining predictions of contactability, probability of offer acceptance, and the amount of cash collected from payers. Multiple variants of the same models are then used to deal with the question of recoveries over time. This combination of data-driven and process modelling reveal as much as possible about the portfolio’s prospects, assuming a similar customer response to past efforts. New strategies and changes in customer response will require empirical adjustments. For example: innovative changes in treatment, timing or intensity or changes to the resources available. The remaining category is the secured segment. The existence of collateral is normally easy to determine but the value of such collateral is a completely different matter, and one that significantly affects the decision of how to treat the debt. Collateral value can be diminished by various factors as it changes over time and is affected by other claims and legal processes. A process modelling approach is critical for secured debts. In the grey area between secured and unsecured debt, if the treatment process includes the possibility of approaching customers with alternative offers, data-driven modelling allows us to estimate the probability of agreement. Portfolio valuation is a complex function of many parts. Well-defined and reusable processes are critical to its effectiveness. The world is constantly changing, and the process needs to allow for this change, by automatically discovering new drivers of customer behaviour, adapting to regulatory changes and evolving business practices. Data-driven, process-based and empirical modelling all have a role to play. Deciding which approach to employ for every portfolio and category within it is key to reaching a realistic valuation.